Photo 1: Red blotch in CS04. November 7, 2012. The growing prevalence of the disease is clear from the recent designation by the California Department of Food and Agriculture (CDFA) Pierce’s Disease/Glassy-Winged Sharpshooter (GWSS) Board of GRBaV, vine mealybug and brown marmorated stink bug as pests of winegrapes. This designation positions the board to quickly respond to specific outbreaks with education and outreach efforts and target research projects for longer-term control efforts. Further evidence of the growing importance of Red Blotch and its potential economic impact was reported by the Australian Broadcasting Corporation Rural’s Lucie Bell on April 14, 2014, who noted that West Australian Nationals MP Vince Catania had called for an immediate halt to American table grape imports to allow new research on Red Blotch to be considered. Catania wrote to Western Australian Agriculture Minister Ken Baston and Federal Agriculture Minister Barnaby Joyce, calling for a moratorium and full pest risk analysis to be conducted. Catania said new research showed that parts of the plant that carry GRBaV are more widespread than originally thought and that the virus may be found in fruit. The grape industry is estimated to be worth $900 million to Western Australia by 2015. Photo 2: Chardonnay with GRBaV. Photo: Rhonda Smith, Viticulture Farm Advisor, UCCE. Red Blotch symptoms in red varieties include development of characteristic pink-red blotchy regions on the leaf blade, which resemble those associated with leafroll virus disease (Photo 1). Unlike leafroll disease, veins of Red Blotch-infected vines turn red. The timing of appearance of symptoms can depend on variety, season and climatic conditions. 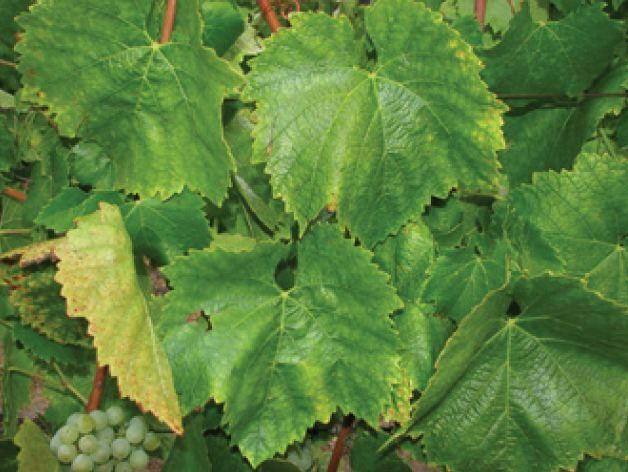 Some growers reported sighting light yellow hues in Red Blotch-infected Cabernet Franc in June. Although GRBaV was named after the appearance of symptoms found in red varieties, it is also present in white varieties. White varieties do not display red leaves, but instead the leaves may develop a yellow or chlorotic hue similar to that seen in leafroll-infected vines (Photo 2). Some white varieties, such as Sauvignon Blanc, may appear asymptomatic. Asymptomatic vines can remain productive, but they also harbor viruses and act as potential reservoirs for virus spread to susceptible vines. This article follows one from March 2013 on the impact of grapevine Red Blotch virus. The objective here is to highlight recent developments in our understanding of Red Blotch disease and to bring attention to the presence of leafroll virus found in certified grapevine nursery stock. 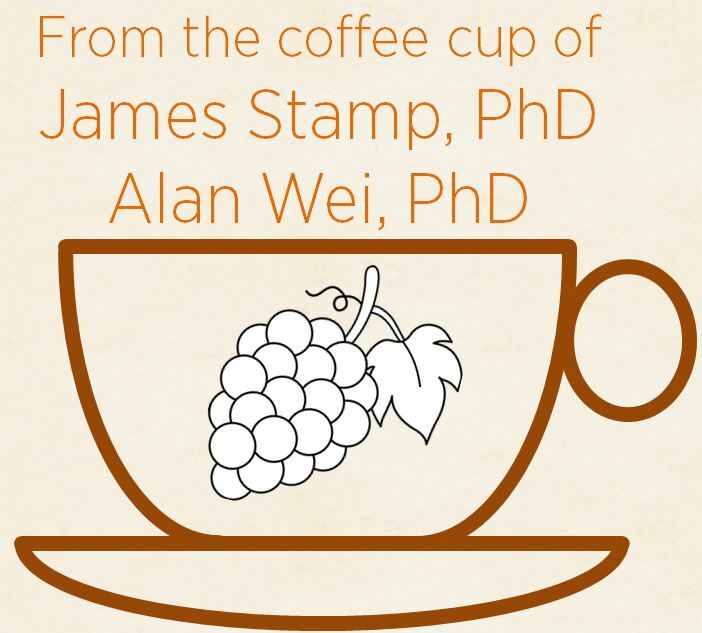 This article was originally published by James Stamp, Ph.D. and Alan Wei, Ph.D. in Wine Business Monthly, August 2014. Dr. James A. Stamp is a Sebastopol, California scientist who specializes in the critical evaluation of vineyard performance issues and grapevine nursery plant material quality and propagation. He has more than 25 years of viticulture experience and established Stamp Associates after founding Novavine grapevine nursery, working in the plant biotech industry and completing a post-doctorate at UC Davis. Stamp Associates advises growers and winemakers in the U.S. and overseas in the establishment and management of high-quality, pathogen-tested vineyards. Contact Dr. Stamp at james@jamesstamp.net. Dr. Alan Wei is the general manager of Agri-Analysis LLC, located in West Sacramento. He has more than 25 years’ industry experience in developing microbial detection technologies, ranging from high sensitivity ELISA, PCR, qPCR, high throughput screening and in-field methods. He has more than 20 issued United States’ Patents in this and related areas. Dr. Wei enjoys interacting and working with growers to learn from them and help identify and solve problems for them. Agri-Anlysis is a laboratory that tests for Red Blotch and other grapevine viruses to help growers protect their investments. Contact Dr. Wei at apwei@agri-analysis.com. Table 1: Correlation between symptoms and presence of GRBaV in adjacent vines. GRBaV is widely prevalent in CDFA-certified grapevine increase blocks, especially scion blocks. GRBaV is also found in CDFA-certified rootstock blocks but at lower frequency than in scion materials. 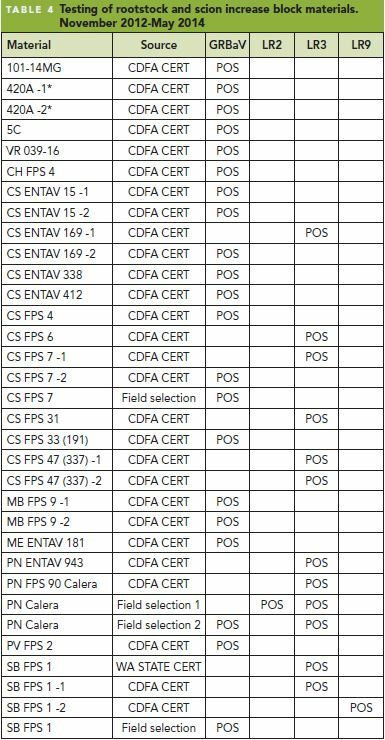 GRBaV is frequently found in non-CDFA-certified scion field selections and clones. White varieties may also be contaminated with GRBaV. 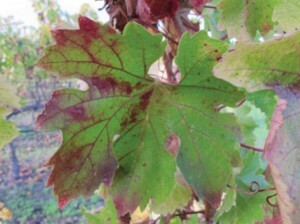 Red Blotch in white varieties resembles leafroll: vines become chlorotic, but leaf rolling is not commonly observed (Photo 2). 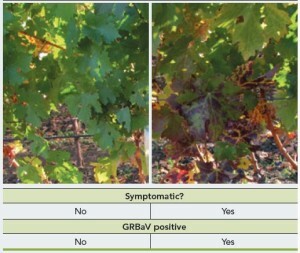 In red varieties there is strong correlation between the presence of Red Blotch symptoms and GRBaV (Table 1 ). This suggests that removal of symptomatic vines may help control the disease. GRBaV is a gemini virus composed of circular DNA in its genome. As such, this virus is considerably more stable than RNA-based grapevine viruses, such as fanleaf, leafroll and vitiviruses (including GVB, causative agent of corky bark disease). Two distinct variants of GRBaV have been identified. Koch’s Postulates have been proven for Red Blotch disease, i.e., it has been demonstrated that GRBaV is the causative agent (Marc Fuchs, Cornell University). The disease and virus are graft-transmittable, and the most likely source of contamination of new vineyards is infected plant material. Some growers report that the virus can be transmitted between established grapevine plants, but we do not know the mechanism. Year-on-year anecdotal observations suggest that vines are potentially contaminated from a focal source—that may be associated with riparian habitats—and that vines ever distant from the source may become contaminated by an unknown mechanism. A report from researchers at Washington State University suggested that the Virginia Creep Leafhopper was a vector for GRBaV. Although this insect is found in northern parts of Napa Valley, there is no evidence that this insect is a vector for GRBaV in California. There are no reports to-date of Red Blotch in other countries apart from the U.S. and Canada. 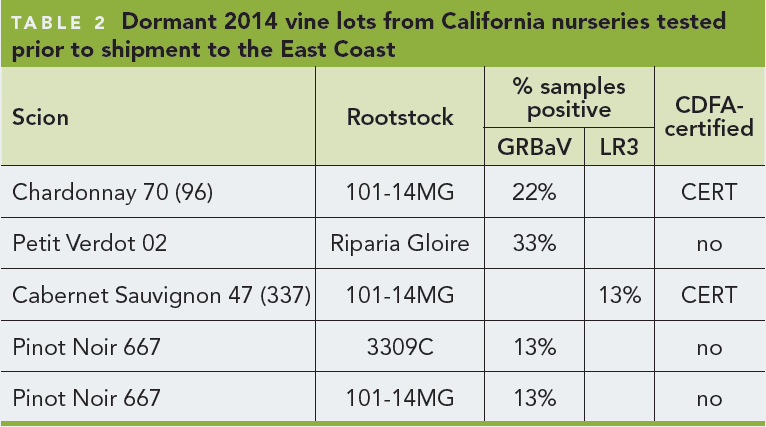 Testing of California nursery product destined for out-of-state vineyards suggests that Red Blotch in other states may result from the purchase of contaminated vines from California (Table 2 ). AVF funded $388,700 in research in 2013 and 2014. An additional $29,500 was funded by the CA Rootstock Commission. It is now broadly understood that GRBaV can have a negative effect on fruit and wine quality. Whether the virus and disease have an effect on yield is less clear. Sugar accumulation may be significantly affected, with 5 to 6 degrees Brix reduction observed in wines from affected varieties. Titratable acidity elevation, pH reduction and altered tannin and phenolic components have also been reported. Insufficiently ripened fruit can make a big difference to the bottom line for high-end wineries; and when the math doesn’t add up, the solution for some is to rip out new blocks entirely and search for clean plant material (Table 3). There is generally a very good correlation between presence of virus, presence of foliar symptoms (easy to observe in red varieties) and significantly reduced Brix in infected vines. Table 3 indicates the projected impact of GRBaV on the “bottom line” at an ultra-premium winery in Napa Valley (the data from the winemaker is from fruit collected in a four-year-old vineyard derived from certified stock). The winemaker noted that 25° Brix in the Red Blotch fruit in 2013 was unusual—in the previous two years, the Red Blotch fruit achieved only 23° Brix. In 2013, the University of California Cooperative Extension evaluated the effects of GRBaV to clarify symptom development in foliage, fruit maturity and vine growth in Chardonnay, Cabernet Sauvignon and Merlot. At each of three sites, vines selected for the study were determined to be GRBaV-positive or -negative by qPCR assay, as well as negative for all leafroll-associated viruses, vitiviruses and nepoviruses. In all three varieties, fruit from vines infected with GRBaV had reduced total soluble solids in berry samples taken during ripening and at harvest as compared to vines that were GRBaV-negative. Berry samples collected from GRBaV-positive Chardonnay vines had significantly higher pH through harvest. In all three varieties, fruit from vines infected with GRBaV had elevated titratable acidity in all sample dates and at harvest. 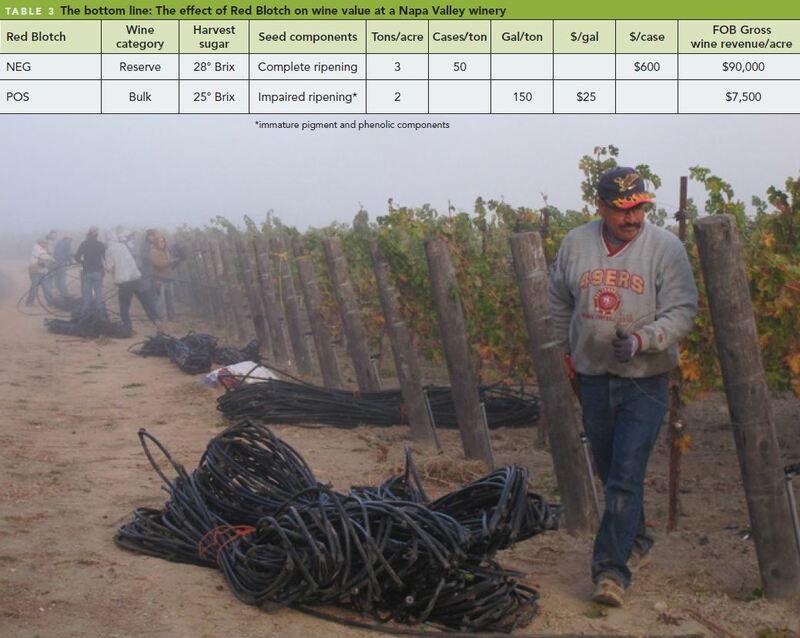 Removing hardware in advance of tear-out of a fourth lead Red Blotch-infected vineyard in Napa Valley. The original scion wood had the highest level of GRBaV. The relative viral DNA copy number was determined to be 5,450+/-861. Rootstock distant from the graft union did not contain GRBaV. The relative virus level in the green shoot, woody scion, and upper and lower rootstock tissues (Photo, Figure1 ) was 1:19:6:0, respectively. In other words, GRBaV in the green growth is about 5 percent of that in the scion wood. This result suggests that the CS08 scion wood was infected before grafting. GRBaV level in the upper portion of rootstock was 17 percent that of the scion wood. We expect the viral copies to increase as the growth continues. Figure 1: Virus levels in sampled tissue illustrated in photo to right. Most California nurseries have acknowledged that Red Blotch is an economic problem and have instigated internal testing programs to evaluate the extent of contamination in their increase blocks. This approach has come about in general as a result of extensive product testing by customers at or before delivery. Customers have reported results to nurseries that use this information to help determine which of their increase blocks should be tested. Some nurseries have been more proactive than others, instigating largescale testing of increase blocks when finished product derived from them was found to be contaminated. In general, however, much of the testing of increase blocks is still based on sampling, where a small percentage of all vines are tested for GRBaV. Usually this additional testing is for GRBaV only, as other viruses of concern to growers are not theoretically present in CDFA-certified stock. Work by the authors has demonstrated, however, that there is a reasonable likelihood that Grapevine leafroll-associated Virus type 3 (LR3) will be found in certified scion increase blocks, albeit at low levels of contamination. Consequently, customers of grapevine nurseries undertaking their own investigations should test for LR3 along with GRBaV on the assumption that LR3 is as likely to be present as GRBaV. Discussions with nursery personnel indicate a desire for general improvement of the CDFA nursery certification program. The best option for nurseries is the ongoing release of new Protocol 2010 materials. These rootstock and scion materials are becoming available and are replacing existing standard (“classic” as called by FPS) materials that have been propagated for more than a decade. Protocol 2010 materials were released from FPS to the nurseries, after tissue culture propagation, to eliminate all known grapevine viruses and Agrobacterium vitis (the crown gall bacterium) and Xylella fastidiosa (the causative agent of Pierce’s Disease). Although GRBaV was discovered after establishment of the FPS Protocol 2010 Foundation vine collection at Russell Ranch, subsequent testing of all planted vines failed to detect GRBaV3. Nurseries are investing heavily in the establishment of new Protocol 2010 increase blocks distant from existing blocks and other vineyards. These increase blocks will theoretically provide clean rootstock and scion cuttings for future generations of vineyard plantings. The newly established Protocol 2010 Foundation vineyard at Davis is not enclosed and it’s situated near a creek and commercial nursery—will this become contaminated by human activity or unknown vectors? Will nurseries keep all Protocol 2010 materials separate from classic materials? This would involve separate propagation facilities and greenhouses and separate field finishing locations. Vine mealybug readily transmits LR3. Will Protocol 2010 materials become contaminated with this CDFA-regulated virus just as standard materials have? Test all incoming new nursery product by using statistically sound methods. Examine vines in early fall for leafroll and late fall for Red Blotch. Remove individual contaminated vines when symptoms become apparent. Remove whole blocks if the contamination rate is sufficiently high. This is a difficult decision, and it is compounded by our lack of knowledge of virus transmission. Hold off on planting until clean plant materials can be identified. *-1 and *-2: Different increase block sources. An efficient PCR-based test for GRBaV became available in October 2012, allowing for the effective detection of GRBaV in grapevine plants and nursery stock. Analysis of finishing 2013 season dormant vines (planted at typical densities of 17,000 vines per acre in the nursery row) demonstrated that GRBaV was present in CDFA certified nursery stock. By the time the industry was becoming familiar with the problem in early 2013, however, many of the nursery rootstock and scion increase blocks had been harvested for cuttings. This led to the development of sampling and testing procedures for harvested rootstock and scion cuttings5 rather than the more efficient practice of testing individual increase block vines. Concurrently, observations of CDFA-certified scion increase blocks and finishing dormant stock at some locations showed the presence of leafroll symptoms in materials that had appeared healthy and/or tested negative for economically important viruses previously. Limited testing of these vines determined that some materials were contaminated with LR3, and so it was deemed prudent by Stamp Associates to test all 2013 season cutting materials destined for propagation of 2013 green and 2014 season dormant vines for economically important leafroll viruses and GRBaV. The full CDFA nursery certification program regulations can be found in: Title 3. Food and Agriculture, Division 4. Plant Industry, Chapter 3. Entomology and Plant Quarantine, Subchapter 2. Nursery Stock, Article 5. Registration and Certification of Grapevines, Sections 3024 through 3024.8. In an increase block, each vine is inspected by the CDFA at each growing season. Increase blocks are tested at least once every five years by the CDFA for Grapevine Fanleaf Virus, Tomato Ringspot Virus and Grapevine leafroll-associated viruses. Practically, however, we have found that the time of inspection of vines is critical. Leafroll and Red Blotch symptoms in scion increase blocks vary greatly, depending on the variety, season, climate and other environmental conditions. Furthermore, rootstock blocks may not exhibit obvious symptoms. Figure 2: Proportion of all samples tested at Agri-Analysis contaminated with GRBaV or LR3. Note: Fall through the end of the dormant season is the normally accepted time to test for grapevine viruses. Fall is also the time when Red Blotch and leafroll symptoms are apparent. The inspection by CDFA staff referenced above includes inspections for general pest cleanliness, including freedom from diseases such as Red Blotch. When symptomatic plants are found, staff submit samples to the CDFA laboratory for identification. Any plants testing positive for GRBaV would not meet pest cleanliness standards for nursery stock, and their sale would be prohibited in California. CDFA staff may perform additional delimitation sampling around a positive find site the following year. 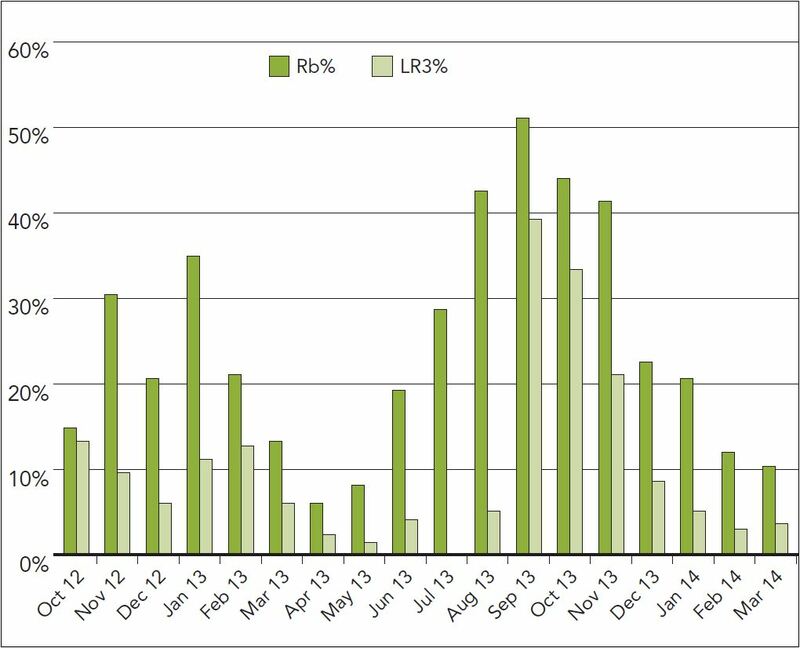 Over the last 20 months, LR3 has been found frequently in CDFA-certified stock (Table 4 ). The authors recommend that at the very least, all CDFA-certified plant materials should be tested independently for these two viruses before vines are purchased. Other economically important viruses have been found in CDFA-certified stock in the last 20 months but at lower incidence, including leafroll-2 and leafroll-9 (Table 4 ). A detailed study of the virus status of CDFA-certified materials, as assessed between 2000-2010, was published in Wine Business Monthly in 2010. It is considered that the most likely source of LR3 contamination is mealybug infestation at nurseries. We suspect that increase blocks and vines in certified nursery rows may become infected, after propagation, by feeding from mealybugs. Although nurseries commonly practice stringent prophylactic chemical control of mealybugs, it has been proven that LR3 can be transmitted to vines after just minutes of feeding. Furthermore, some nursery increase blocks are located close to commercial vineyards and orchards, which are potential reserves for mealybug populations. Visually inspect scion increase blocks in the fall. Examine every vine that is a potential source of budwood. Reject whole blocks if any vines within the block look unhealthy. Test all contiguous scion vines required for budwood in healthy blocks. Test all rootstock vines required as sources for cuttings. When evaluating established scion increase blocks in the fall, it can be very difficult to find enough apparently healthy contiguous vines to provide sufficient buds for propagation. For example, over the last 20 months it has proven very difficult to find certified Cabernet Sauvignon clones that test negative for both GRBaV and LR3 (Table 4 ). It has always been assumed that growers should use certified stock. However, the findings of economically important viruses in certified nursery stock have made some growers less confident in using certified materials. Because of this, the value of a grower’s own scion block has become increasingly important. It is considered that historical source data and season-by-season field observations, backed by rigorous vine-on-vine testing, can provide clean scion propagation material of higher quality than can be assumed from some certified increase blocks. 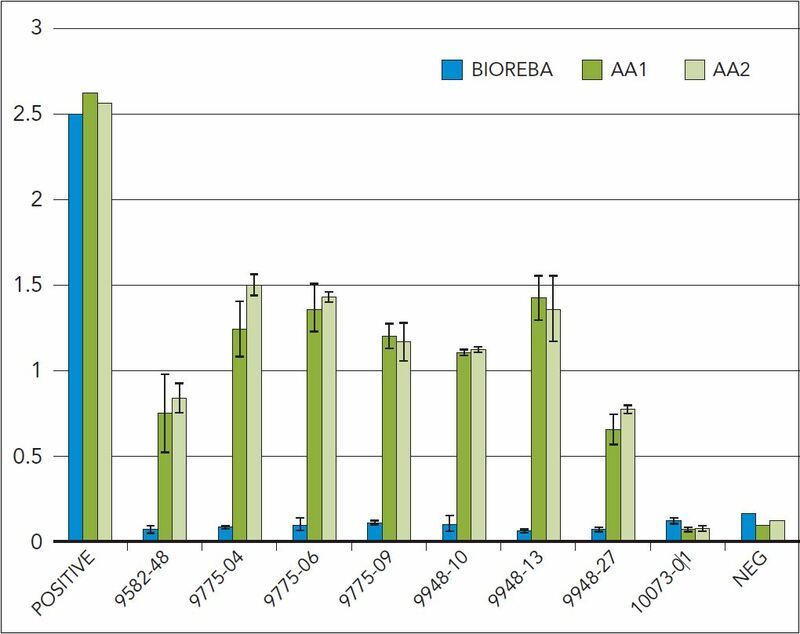 Figure 3: Seven field LR3-positive samples consistently tested negative using the BIOREBA reagent, which is widely used in certification programs. A new detection reagent developed by Agri-Analysis is able to consistently detect all of them (AA1, AA2). When growers purchase CDFA-certified stock, they assume that they are buying “clean” materials. But data gathered over the last 15 years indicate that this cannot be assumed1,6. It is unacceptable that countless vineyard managers and wineries have to face the financially crushing removal of young vineyards because of poor phytosanitary quality control. There is a clear gap between growers’ expectations and reality. Protocol 2010 derived materials are becoming increasingly available from most nurseries. This offers a near term fix to the crisis. However, in the short-term, classic increase blocks are still exposed to potential infection while newly established Protocol 2010 blocks will be exposed to the myriad of insect vectors and fungal pathogens that currently affect nursery stock and young and established vines. A robust and effective certification program is needed for the long-term well-being of our vineyards. First of all, we believe that the effective certification of nursery stock requires a vigorous statistical approach to ensure results are statistically significant. 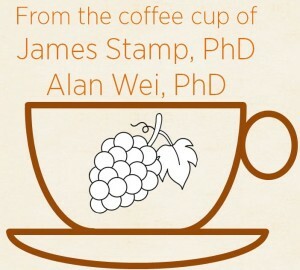 The sampling strategies and statistics for grapevine testing are very complex while study on this topic is scarce. In-depth studies are required in order to develop a robust statistical model that regulators and growers can rely upon. In this field, our industry is lagging behind other commodity groups, such as the seed industry where rigorous sampling protocol exists. Photo 3: Red Blotch symptoms in different vines in November 2013. Second, since LR3 is known to be genetically highly variable, certain strains may have escaped detection. “Such genetic variability has significant implication in the detection of LR3 by molecular means and serological assays,” said Dr. Tefera Mekuria, plant virologist, Agri-Analysis. Advances in new testing methods are needed to help address this issue. Funded by a USDA Small Business Innovative Research (SBIR) Grant, Agri Analysis has recently developed a new ELISA-based reagent that provides a broader coverage of LR3 strains than the commercial reagent currently in use by most certification programs. Since fall 2013, Agri-Analysis has identified a number of LR3-positive samples from Napa and Sonoma vineyards that were negative, using the current commercial reagent. Figure 3 is a set of data showing seven such samples first tested in December 2013 (AA1) and recently re-tested, using petiole samples (AA2). Could some strains of GLRaV-3 have escaped detection during certification? Dr. Monica Cooper, farm advisor, UC Cooperative Extension, has been studying the epidemiology of LR3 for a number of years. When asked for her opinion why the LR3 virus is found in certified materials, Dr. Cooper commented that “detection reagents could be one explanation. In 2010, I did work with a grower who had LR3(+) vines with clear symptoms that consistently tested negative.” Later, the research laboratory of Dr. Rodrigo Almeida at UC Berkeley was able to isolate a novel variant of LR3 from the samples. “Anything we can do to improve the reagents will certainly make it easier to clean up our vineyards and nursery material over the long-term. I hope that the certification programs in California and other states are keeping updated on their virus testing methods and protocols,” said Dr. Cooper. Equally important as testing reagents and sampling statistics are growers’ awareness and vigilance of potential virus problems. Extensive studies have shown that mealybugs can spread LR3 very quickly in field conditions, whether in increase blocks, nursery finishing rows or established vineyards. The recent decision by the CDFA/GWSS board to designate Red Blotch and mealybugs as pests is encouraging. A high level committee of all stakeholders, including those making vines, certifying and planting them, should be established to examine the existing CDFA program. The authors believe that there has to be a multi-tiered approach to this challenge. For example, at the state level, the CDFA should conduct testing and inspection of increase blocks and field stock to reach a minimum level of cleanliness based on 95 percent free of infection with a 95 percent confidence level and 5 percent margin of error. Technically, this should be relatively easy to accomplish and should not be objectionable to most stakeholders. Additional stringency could be introduced at the county level with growers adding further stringency as deemed necessary. This multi-tiered approach is widely practiced in Europe where the European Union sets the minimum phytosanitary inspection standard. Each country can raise the EU standard as deemed necessary. Similarly, regions within a country may further raise the national standard but not lower it.